Need Free Ice Water? 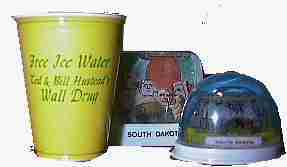 Let's go to Wall Drug! 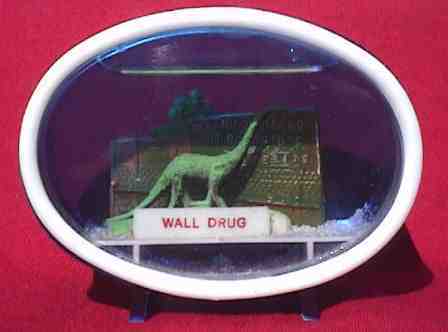 When I�visited Wall Drug, they only had Dinosaur Domes. 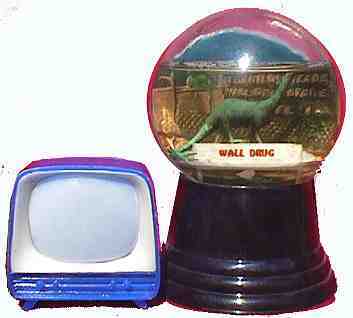 So I brought home one of thes TV viewers. Inside is a small slide show. Some of the scenes appear here. 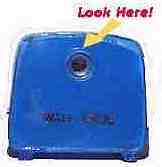 I�briefly thought about starting a TV�collection. Nope. It would be boring. By now, I suppose you're wondering why I�had to create a whole page just to show two snow domes. Well, things were kind of slow this month.